Director Duncan Jones has been hard at work on Warcraft for several years now, which is serving as one of the largest video game to movie adaptations of all time. Legendary Pictures put a lot of time and money into the film and as of right now, its domestic box office prospects aren't looking particularly great. In the end, it may not matter though because the film is already crushing it in China. According to Box Office Mojo the film made $46 million on its opening day in the country, which absolutely shattered any previous box office record. Prior to Warcraft, the most a film had made opening on a non-weekend day in China was Avengers: Age of Ultron with $28 million last year. The film is expected to do absolute gangbusters business over the weekend, which is why it is also setting a record for the widest release ever in China, playing on nearly 70 percent of all screens. Signs were already pointing to Warcraft being a massive success in the region, having posted a record $20 million in advance ticket sales. Warcraft also set an opening day IMAX record, posting $5.3 million total for the large screen format, which bested Furious 7's $4.7 million from last year. The opening day record breaking has signaled that the film will pull in massive money over the 5 day launch, which could easily help make up for the potential lack of U.S. box office. Predictions are putting the five day total for Warcraft at anywhere from $122 million to $152 million. But with the film already outperforming expectations in the region, those estimates may easily go up come Saturday. The Legendary Pictures tentpole release is doing very well in other markets as well, having made $17.3 million in Russia so far. Other notable Foreign markets are France, which has posted $7.7 million for Warcraft so far and Germany, who has put up nearly $10 million for the film already. By the end of the weekend, the film should have easily made back its reported $160 million production budget, even without the likely flop worthy domestic numbers that analysts are predicting. 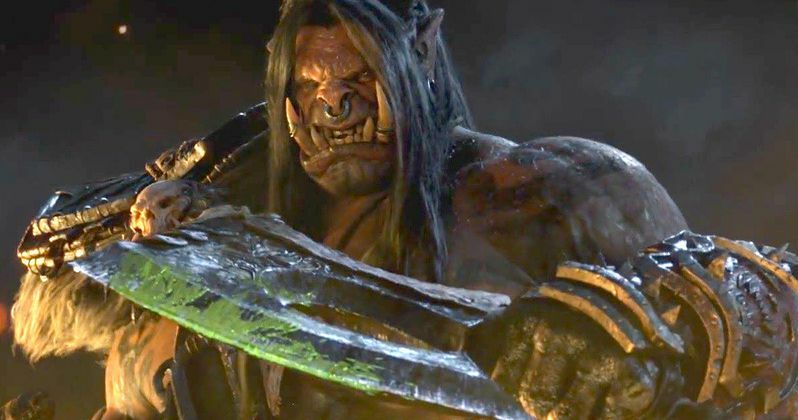 In North America, Warcraft is optimistically looking at a $30 million dollar haul for the weekend, but most analysts feel it will land a little closer to the $25 million dollar mark. The film is facing stiff competition from James Wan's The Conjuring 2, which is predicted to win the weekend in the states with at least $35 million followed by Lionsgate's Now You See Me 2, not to mention that Teenage Mutant Ninja Turtles: Out of the Shadows should post some decent numbers in its second weekend. We all know that foreign box office has become increasingly more important in recent years, but if Warcraft truly does flop in the U.S. but manages to do what it looks like it could do in other markets, Legendary simply may not care. Be sure to stay tuned for more updates on this weekends box office.